ATLANTIC CITY, N.J. — The heels came off but the crown stayed on as Miss America began her reign with a romp in the Atlantic City surf Monday, hours after winning the title. Savvy Shields, who represented Arkansas, won the crown Sunday night to become Miss America 2017. She drew wide attention by calling on Democrats and Republicans to learn to compromise with each other again. On Monday morning, she kicked off her sandals and walked across the seaside gambling resort's shell-strewn beach to the surf line, where she ran ankle-deep in the incoming waves and jumped into the air twice. She then posed next to a lifeboat in the traditional pose that Miss Americas strike the morning after winning the crown. 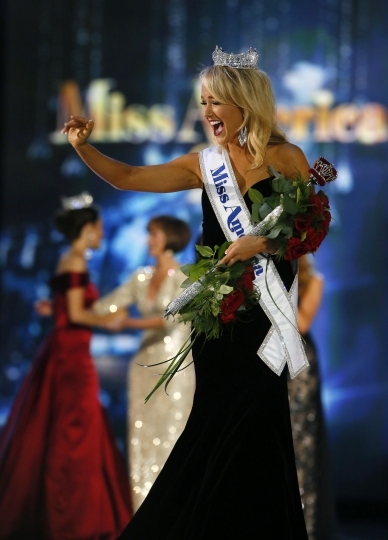 "This is such an iconic moment, the toe dip in Atlantic City that every Miss America does," she said. Atlantic City Mayor Don Guardian played on his name and that of the new Miss America in promoting his city. "Obviously you have to be pretty savvy to become Miss America," he said. "And with Shields and a Guardian, Atlantic City will be safe for another year!" Shields is an art major at the University of Arkansas who wants to help people make better food choices. Her response to her onstage interview question helped propel Shields to the title. She was asked what she thought of Democratic nominee Hillary Clinton; she answered that while both Clinton and Republican Donald Trump have done a good job thus far, "they also need to watch what they're doing." "What I want both candidates to focus on is compromise," she said. "Our country was founded on compromise. We're in a state now where both parties just seem to be yelling at one another. I hope that at the end of my year, we're starting to reward politicians for compromise." 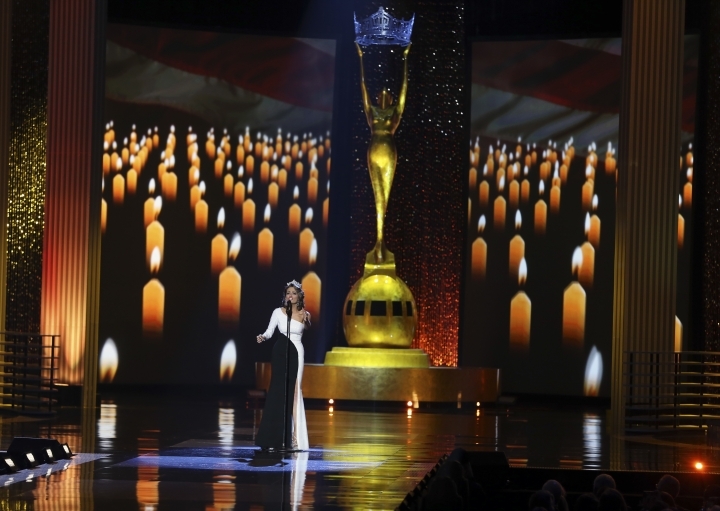 Shields performed a jazz dance to a song from the TV show "Smash," for which she won a preliminary competition earlier in the week. She said she still has the soundtrack from the canceled TV show in her car, where she plays it often.